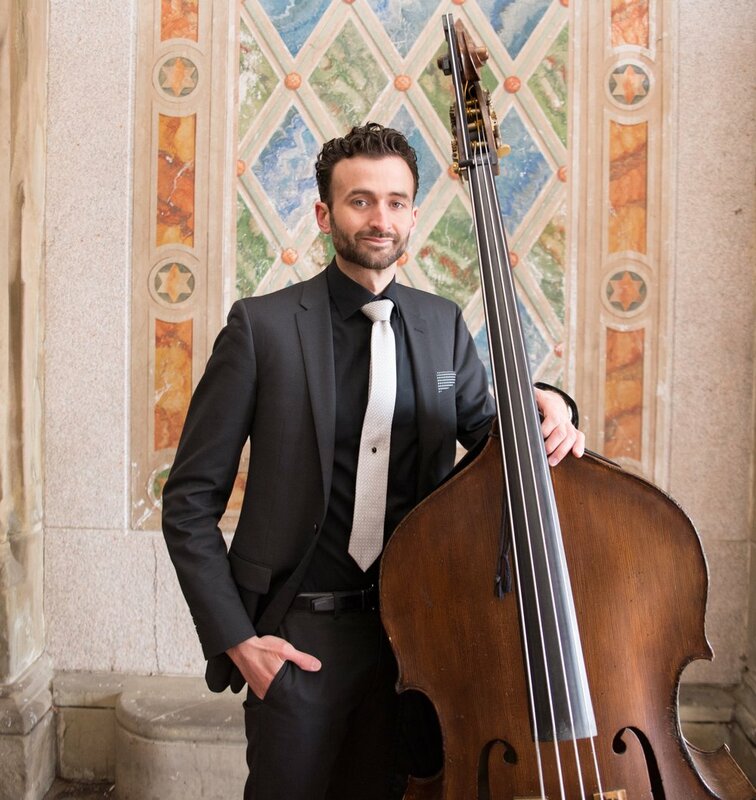 That rare bassist who is also an effective and inventive group leader, Nathan Brown has recorded a pair of widely praised albums, beginning with his successful 2012 debut, Luminescent, by a quintet that featured alto saxophonist Wes “Warmdaddy” Anderson. That radiant entree was followed by 2017’s accomplished This is the Moment featuring his trio of Felix Lemerle on guitar and Peter Traunmueller on drums. Released on Gut String Records in September 2017, This is the Moment immediately climbed to #20 on the NACC college radio play chart. The album is currently in rotation on over 200 jazz radio programs worldwide including Public Radio International’s popular and influential Jazz After Hours. Following the album’s release, Brown and the trio embarked on a successful tour of Australia and New Zealand culminating in a performance at the Queenstown NZ Jazz Festival. This is the Moment began to coalesce during the two years the trio spent in a weekly residency at the New York City jazz club, Cleopatra’s Needle. 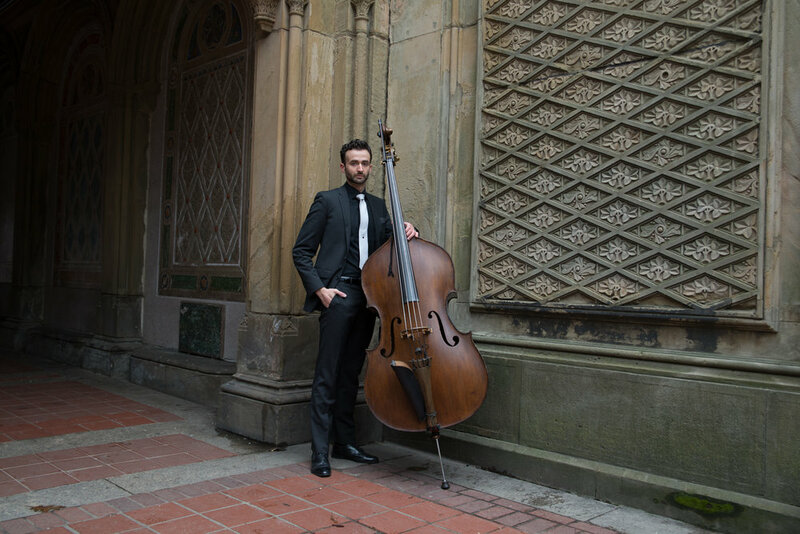 Praised in the jazz press for his “ability to dig a deep groove” and having an aesthetic that “is remarkably well-dialed in,” Nathan, as a leader or sideman, is a vital and active member of the always roiling New York City jazz scene. He has played with a wide variety of jazz performers from Jon Faddis and Randy Brecker to Wycliffe Gordon, Carl Allen and the late Frank Morgan. He has performed at most major jazz venues and festivals including Jazz at Lincoln Center, The Kennedy Center and the Detroit International Jazz Festival. Beginning his musical career as a cellist, Nathan learned tuba and euphonium before settling on the bass. He studied under Rodney Whittaker at Michigan State University before moving on to study under Ronald Carter as part of the Master of Music in Jazz Studies program at Northern Illinois University. Nathan has served as adjunct bass instructor at Highland Community College in Freeport, Illinois. In addition to his performing career, Nathan is also a music producer, talent agent and artist manager. As the founder of Brownbass Music LLC, he directs an arts and entertainment management and consulting company that focuses on the marketing, development and successful branding of jazz artists worldwide.